Chris Watts waived his right to a preliminary hearing during a court appearance on Tuesday morning in Weld County for the murders of his wife, Shanann Watts, and daughters Bella and Celeste. GREELEY — In a four-row courtroom that was filled almost entirely with media, Chris Watts was formally read the charges against him for his alleged role in the deaths of his pregnant wife and two young daughters during an advisement hearing Tuesday morning. Chris Watts is accused of killing his 34-year-old wife Shanann Watts and their two young daughters, Bella, 4, and Celeste, 3. According to an arrest affidavit released Monday afternoon, Chris Watts confessed to killing his wife -- but only after he went "into a rage" because he saw her strangling their young daughters. The 33-year-old, who was led into the courtroom in shackles and clad in an orange prison jumpsuit, was largely stoic during the less-than-30-minute court proceeding. He answered the judge with, "Yes sir" and, "No sir," but seemed to visibly sigh as Judge Marcelo Kopcow read the nine felony he has been charged with. 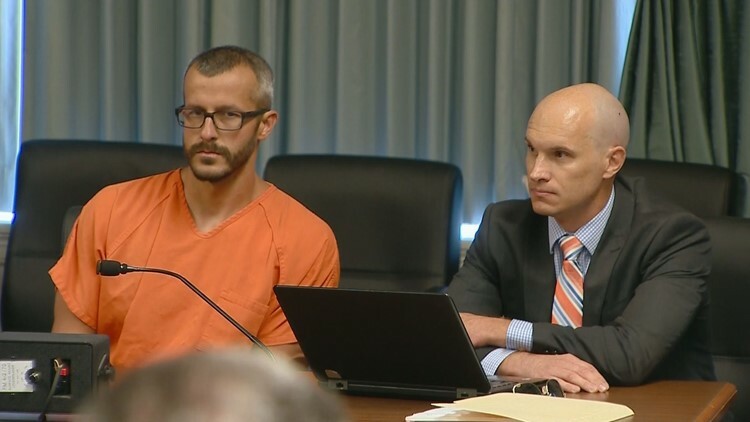 Chris Watts' public defenders waived his right to a preliminary hearing within 35 days, but said they might revisit the issue during a status conference in November. At this point, he is being held without bail due to the severity of the charges against him. Weld County District Attorney Michael Rourke's office charged Watts with five counts of first-degree murder -- four of which were for the deaths of Bella and Celeste. Two of those charges are for killing someone under the age of 12 who is in a position of trust. The dates on the murder charges for Bella and Celeste indicate that prosecutors may argue that Chris Watts killed his daughters before his wife returned home from a business trip during the early morning hours of Aug. 13. This was also the last day Shanann Watts was seen, and the day the district attorney's office alleges she was killed. The charges for Bella and Celeste's deaths, however, say they may have occurred between Aug. 12 and Aug. 13. Watts is also charged with unlawful termination of a pregnancy in the first degree, and three counts of tampering with a deceased human body. Shanann Watts' body was found in a shallow grave on Anadarko property -- near the oil wells were her daughters were found. Chris Watts was fired from Anadarko shortly before he was arrested. Chris Watts walks into a Weld County courtroom on Thursday. The day after Shanann Watts was reported missing, Chris Watts granted an interview to 9NEWS and to other media organizations pleading for the safe return of his wife and daughters. The day after that, police took Chris Watts into custody. According to the affidavit, investigators discovered Chris Watts was having an affair with a coworker -- something that he denied. He did tell police that the morning before his wife was reported missing, he told her he wanted a separation -- leading to a tearful discussion. Outside of this, there is little additional information in the affidavit about what prosecutors believe motivated the crime. Shanann Watts' father Frank Rzucek and brother Frankie Rzucek Jr. sat in the front row of the courtroom during Tuesday's advisement hearing. Both of them were visibly emotional and seemed to watch Chris Watts, who never met their eyes. Chris Watts has not yet entered a plea. He faces a minimum of life in prison if he's convicted of any of the first-degree murder charges, and a maximum sentence of death. During a news conference on Monday afternoon, Rourke said it's far too early to say if his office will pursue the death penalty. Chris Watts' trial has generated media attention from around the world. During Tuesday's hearing, the judge said this has meant furthering proceedings will have to be held in a bigger courtroom.